From Saturday 21 October 2017, Iniva’s Stuart Hall Library is open every Saturday from 12 – 6pm. Thanks to generous funding from Cockayne Grants for the Arts, a donor-advised fund of the London Community Foundation and match funding from the Arts Council England Catalyst Scheme, the Stuart Hall Library will open to the public an extra day a week. Saturday openings give our audiences, new and existing, an extra day to browse, study and discover, and participate in a dynamic programme of events. Come and meet our new Senior Library Assistant Lexi Frost as well as our library volunteers, who can introduce you to the library and collection. 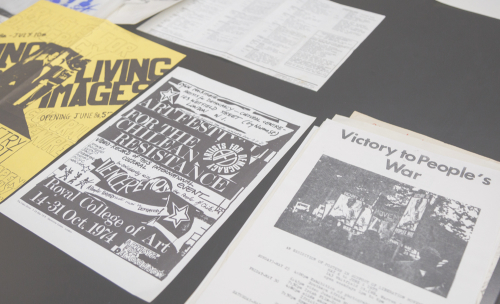 Over the next year we will develop a collection specifically for younger audiences, host film screenings from the Iniva archive, run workshops and much more – keep an eye on our programme for more information.